You may be savvy about using your personal online banking. For convenience you may have selected the same bank for your business. You figure you go there anyway for personal reasons from time to time, why not? As it turns out business banking and personal banking often have different programs and systems within a bank. If you are not careful you will end up with an old school byzantine structure that is at least 5 years behind their personal retail banking services. But what does this mean to you? You know that convenient website with login and features on your personal account? It is often quite different for your business. You may have to pay for your billpay services. Since this is for businesses the bank figures you can pay a lot more for the same things you get for free on the personal side. 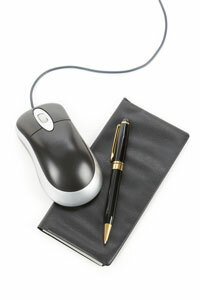 The first thing you need to do is write down what you will need with your business banking. Understand how your receipts will come in and how your vendors are paid. If you have a local business and many transactions are cash then you have the classic small business that banks setup for since the first half of the 20th century. You’ll have drop boxes and bags and, hopefully not, lots of checks. I think that today not as many businesses deal with a lot of paper checks. When I stand in line at the grocery store the only paper checks I ever see are written by people of the same average age as a Lincoln Continental buyer (74 years old btw). If you are B2B business you may receive a smaller number of payments but alas I find many large companies still mail out paper checks. Find out for the different types of accounts what the limits are for paper check receipts processing in a month. 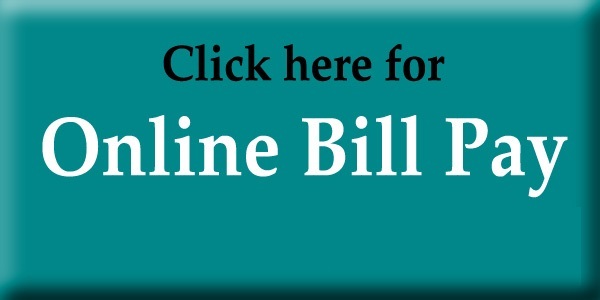 To pay your bills it is convenient to have a good billpay service. You don’t need to use the one from your bank but that will often be the case. Find out if there are costs associated with this and how much. If you choose the right bank this should be a free service. There are other billpay solutions but to go outside your bank there needs to be a compelling reason. The reason is most non-bank 3rd party services are going to charge you for the service. One reason to use an outside service is easier maintenance of the vendors you pay. The maintenance is the name, address and account number information you need to keep for every vendor you pay. Ideally your bookkeeping system should contain all of this information and then the billpay service could use this to pay and record at the same time. I believe Intuit’s solution charges around $.70 per payment and given that my bank offers it for free I opt for that. Don’t underestimate the value of connectedness. When you pay a vendor it is recorded (by you) in your books and that has to be reconciled with the recording of your bank account transaction. Manual recording is a intensive task. You will also have to maintain vendor information separately in both your bookkeeping system and your billpay system. You should strive to use services that automatically record and reconcile these by directly using the same database of information as much as possible. Sometimes with convenience comes cost but not always. Intuit does a pretty good job of automatically finding and referencing transactions in your books with the payments from your bank accounts and most banks can configured in Quickbooks to auto-download your banks transactions. In this series on Small Business Systems you will find that connectedness is going to save you a lot of time (your most valuable resource). But which systems you use and how connected they are depend upon your specific business profile. For over a decade my business has operated on a small number of large deposits. The time I spent physically at the bank were for; account setup and changes, setting up wiring, check deposits (ugh). The last one put me at the bank about one time per month to deposit checks. Here is where you may think that new internet tools will help. I have 2 different personal accounts, one is for a checking/brokerage and another is a credit union. Both of these have apps which allow me to take a picture from my phone to deposit a check. A terrific time saver. But alas, this is not available to business banking customers. Because of the backwardness I discussed at the start of this post, business banking often does not provide support through a banks smartphone apps. If this is important to you then make sure you ask. When selecting a bank for a business 2 years ago it took me over 2 weeks of research and after final selection I regretted the bank I chose (Wells Fargo). The reason is what I thought was a an advantage, international wire transfers, in fact turned out to be the most expensive proposition. I’ll talk more about that in a post on wiring funds. If you have a good business online banking story please leave a comment and share your experience. Next Post -- Are You Still Using A Blackberry?